From the legendary 1840, Fonseca's first Vintage Port release, to the superb declared vintages of the last decade, the house has produced a succession of highly acclaimed wines even in the most adverse moments of history. This consistency derives not only from continuity of family involvement, and the knowledge and skill passed down from one generation to the next, but also a close link with the vineyard. 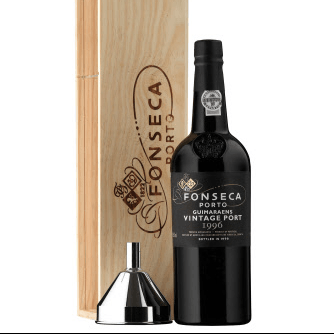 The firm's three estates of Cruzeiro, Panascal and Santo António are the heart of the distinctive character of Fonseca's Vintage Ports.